John had a brief stint with United as a youth. A former Scotland schools international he was with Stranraer, Dundee and St Johnstone before he moved back to Tannadice. 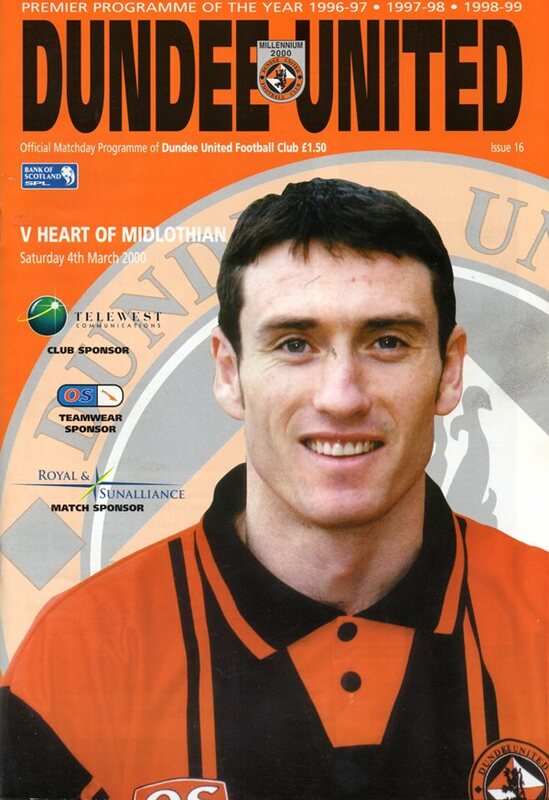 A regular with United until December 2000, he fell from favour and was on loan at Alloa Athletic and Montrose before signing for the latter club in February 2002. John was born on this date in Stranraer. Manager Alex Smith made three changes to the side that lined up against Hearts atTynecastle. In came McQuillan, Easton, and Thompson; out went Heaney, McCracken and Derek Lilley who was suspended.